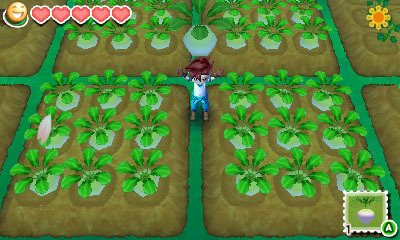 Story of Seasons' Producer Yoshifumi Hashimoto Sheds Light on His Laid-Back Farming Sim: "You can think of it as enjoying bonsai." The visionary behind Harvest Moon's newest form talks about why the joy of raising virtual chickens hasn't faded over the past 20 years. Over the passing generations, we've lost plenty of great Japanese series and studios thanks the ever-increasing challenges of game development--which is why it's refreshing to see a series like Harvest Moon persist. Regardless of what happens, we'll always have its reliable, low-key take on rural life. Still, the series has seen a few changes of late. While it continues under the Bokujou Monogatari (Farm Story) name in Japan, its latest installment recently released in the States as Story of Seasons, since former publisher Natsume developed their own version of the game under the Harvest Moon brand in 2014. Even with its new name, Story of Seasons is about as Harvest Moon as you can get, and hasn't strayed from its essential and addictive loop of slowly earned rewards. "Regardless of the title change, there was no influence on development, and we just created the game as we always do," says producer Yoshifumi Hashimoto. Hashimoto is no stranger to the ways of Bokujou Mongatari; he's spent the past decade working on the Rune Factory series, which takes the basic elements of Harvest Moon and adds a sprinkling of RPG mechanics, bringing some action to a typically slow-paced experience. Having played my share of Story of Seasons, I can definitely see some of this spin-off's finer qualities slipping into the main series--especially in terms of how snappy the menus are this time around (an unmistakably important quality for a game like this). And, according to Hashimoto, that's no accident: "Before, we wanted to separate Rune Factory and Bokujo Monogatari because they were so similar, but now we have players asking if features in Rune Factory are going to be implemented in future Bokujo Monogatari titles. Staff on both teams are always excited to receive feedback and enjoy learning from each other." With the rise (and gradual fall) of FarmVille and other social games that borrow heavily from the Bokujou Monogatari formula, it's somewhat surprising the series never really made the leap to this format. Now more than ever, something like Story of Seasons feels antithetical to the "quick fix" nature of portable games; a day of farming duties may only take a handful of minutes, but rewards for your hard work typically don't start rolling in until a week or longer. "I believe gaining everything instantaneously is not the best option," says Hashimoto. "Just like real farming and cooking, you can’t always expect to get everything immediately. At the same time, we don’t want people to get bored so we try to make it fun by gradually raising everything without it being too tiring. In Japan, you can think of it as enjoying bonsai." Even with its cutesy, laid-back atmosphere, there's still a bit of darkness lurking beneath Story of Seasons' vibrant exterior. Animals you care for can die if not taken care of properly, and Hashimoto has received plenty of feedback on this issue; some view it as too sad, while parents appreciate this aspect for showing the needs of a living thing. Even with this negative feedback, Hashimoto remains steadfast in keeping these harsh-but-realistic qualities intact for the sake of education, as he explains: "[An animal can] become sick because you aren’t taking care of it properly, and no matter what kind of animal it is, it has 'life.' Having young players play without that being said will not prepare them for the future, and I was thinking of creating that opportunity where adults playing with their children could explain it and have them start thinking about it." Though creator Yasuhiro Wada has since left the series to pursue other projects, Hashimoto is driven by similar inspirations. Wada doesn't hide the fact that the original Harvest Moon set out to recapture his youth in the Japanese countryside, and Hashimoto, too, pines for these days gone by. "I loved my grandmother very much," he says "but she made sweaters in the strangest colors. When I was young she told me she’d give me one, but it looked so bad I didn’t accept it. But after she was gone and reflecting back on it later, I always wished that I would’ve accepted that sweater. Perhaps I may have wanted each and every player to feel slightly nostalgic about rural life." 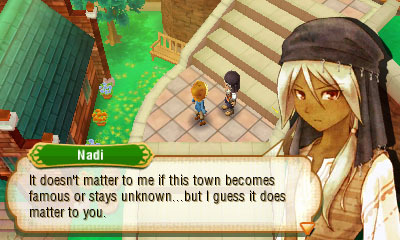 Tagged with harvest moon,	Interviews,	Marvelous,	Sim,	Story of Seasons,	USgamer,	xseed.